I like how Church Hill Academy is a faith-based school, and I like that they offer more one-to-one based learning than other schools. They also have fun team building activities and field trips. I have improved academically between by 10th and 11th grade year, especially in English, where I went from a C to an A average. I like the fact that teachers and staff enjoy their job. They don't look at teaching as just a paycheck. They listen to student's feedback to understand how to better themselves as teachers. Church Hill Academy offers a safe, learning environment, which isn't usually found in public schools. We have the opportunity to say God, and Jesus, and dip into Religion. I am very thankful for this school. I have met great friends, wonderful teachers, and have landed awesome opportunities. What I like most about Church Hill Academy is the environment. It’s easy to make friends and everyone is close. It’s almost like one big family. What Church Hill Academy offers that is different from a traditional public school is marketplace skills and tips. The school is devoted to helping the student develop good marketplace skills so we can find great opportunities. Church Hill Academy is a place for change and growth. The people here are only here to help so take advantage of that opportunity before it’s too late. A positive change I have noticed about myself since I started attending Church Hill Academy is my social skills. When I first got here I didn’t want to open up or talk to anyone but eventually I would start talking and interacting with more people and it really helped to do that because now I see the importance and benefits of having good social skills. The best decision I made was to have my son attend Church Hill Academy. My child has always been a quiet person but over these few years I have seen a huge transformation. His communication skills have improved and his confidence. I like that it’s a faith-based and… I am grateful that they are teaching the students to be successful in the classroom and out in the real world. Church Hill Academy is a wonderful school and has been a blessing for our family & my children. The kids have developed wonderful relationships with the teachers & faculty and they are learning in an environment that I believe is safe and nurturing. The teachers are very understanding with different situations that our kids have faced and the teachers & faculty have provided loving support to the whole family. This type of support has allowed both of my children to excel academically, they are both currently straight A students. 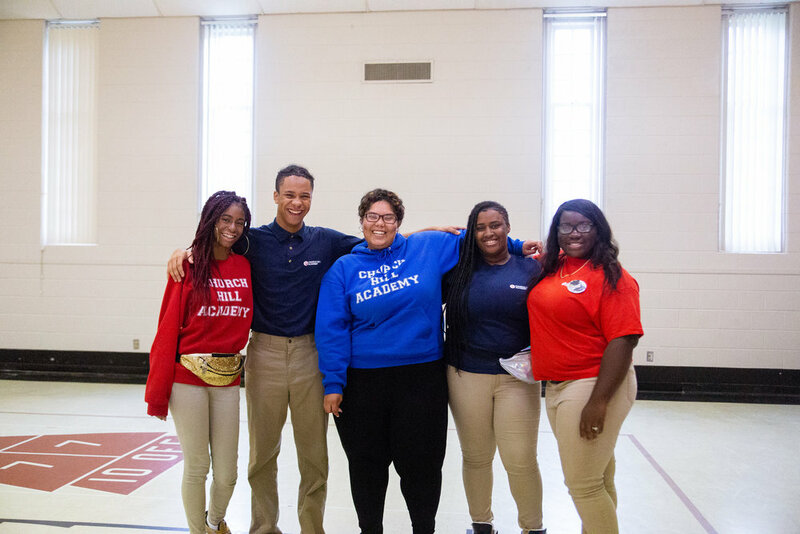 The relationship and bonds they have with the Church Hill Academy is different from public schools because it's personable and more like family. The teachers & staff really care. Being in Church Hill Academy has allowed [my kids] to grow academically and spiritually, they went from A/B students to straight A students. The other positive changes I have noticed about them by attending Church Hill Academy are the drive to be successful and really focused on going to college. Church Hill is such a blessing in our life. It is not just a high school experience for our children but a lifetime connection that will always be with them.